Dr. Marisa Herrera has a Bachelor of Science in Engineering and Applied Science with an emphasis in Agribusiness, a Master of Business Management (M.S.M) with an emphasis in International Business and a Doctorate in Higher Education Administration from the University of Southern California. Dr. Marisa Herrera has worked in higher education for over 20 years at UCLA, USC, Stanford University and the University of Washington. She is deeply committed to access and opportunity in higher education and serves as the inaugural Vice President for Students, Equity & Success at Shoreline Community College, after working as the Executive Director for Community Building and Inclusion at the University of Washington for 5 ½ years. Prior to University of Washington, she traveled the world with Archbishop Desmond Tutu as an Assistant Dean for the Semester at Sea program. She has served on the College Board Native American Student Advocacy Institute National Advisory Board and was a 2013 delegate to the College Board Chinese Bridge delegation to Beijing and Shandong, China. She conducted her dissertation research in Beijing and Shanghai on leadership frames, globalization and Global Executive MBA programs. 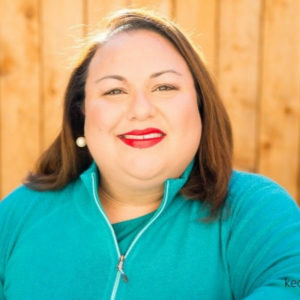 She currently serves as a Commissioner to the Washington State Student Services Commission, a Commissioner on the City of Seattle Human Rights Commission, was a former Board Member for Casa Latina and is on the National Advisory Board for the National Conference on Race and Ethnicity. Dr. Marisa Herrera lives in Shoreline, Washington focusing her work on diversity and inclusion issues, specifically college access and student retention initiatives. She has a passion and specific expertise working with first generation, low income, Latino/a, African-American, Native American and Asian/Pacific Islander students. She is bilingual in Spanish and American Sign Language. She is also well traveled and has circumnavigated the globe, with a particular depth of travel in the Asian Pacific Rim. In her personal time, she enjoys crafting, listening to live music and going antiquing.